We all know that everyone who wants to get a good college education is bound to apply for a student loan. After all, not everyone has rich daddies who are willing to shell out for your education. However, the problem with student loans is that, will you be able to pay them off early on in your career or will it continue to haunt you for the rest of your days? Although there is no clear cut answer to that question, it pays to know whether the college you’re planning to go to will actually help in making your salary higher. Although salaries will ultimately depend on the type of job, there are some institutions who would gladly pay more for a graduate from the nation’s top universities. So which ones is it? 1. Princeton University – With a starting median salary of $56,900, students can expect to pay off their loans early. Mid-career median salary is at $130,000. Princeton is located in New Jersey and the latest tuition rate as of 2010-2011 is at $36,640. Acceptance rate is at 10.1%, with national college rank of 2. 2. California Institute of Technology (Caltech) – Starting median salary is even higher than Princeton, with $69,600. Mid-career median salary is at $123,000. This university is located in Pasadena California, with the latest tuition at $36,282. National college rank is 7. 3. Harvey Mudd College – Harvey Mud College can give off a starting median salary at $64,400. Mid-career median salary is at $121,000. Tuition for 2010-2011 is currently at $40,390 and this college is located at Claremont California. It ranks 18 among the Liberal Arts. 4. 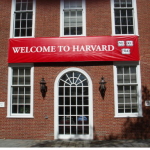 Harvard University – Probably one of the most popular universities in the United States, Harvard can give a starting median salary of $54,100. A mid-career median salary would be at $116,000. 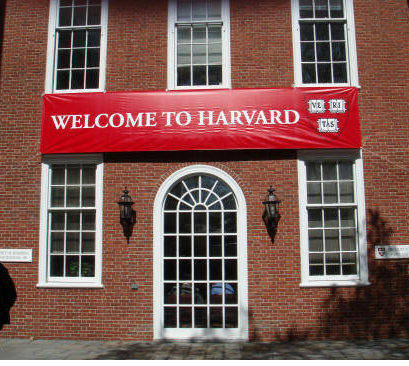 Located in Cambridge Massachusetts, Harvard is at the number 1 national ranking. Acceptance rate is only at 7.5% though, and if you’re in, consider yourself as one of the lucky few. 5. Massachusetts Institute of Technology – Another one from Massachusetts, MIT can give a starting median salary of $69,700, the highest one yet. Mid-career median salary is at $115,000. 2010-2011 tuiton is at $39,212 and acceptance rate is also at a low 10.7%. National college ranking is at 7. Having an education in these colleges can somewhat assure you of a bright future ahead. Student loans can surely be a heavy weight to bear but with salaries that can cover you within the first few years of working, loans shouldn’t be a problem. Just be sure to get accepted, and graduate of course, and you’ll be off to a good start.